Joseph E. Cheeley, III, brings over 27 years of legal experience to his general civil practice serving the Metropolitan Atlanta area. A native of Buford, Gwinnett County, Georgia, Joseph represents individuals and small businesses in the areas of Family, Contract, Tort, Business, and Estates. Family practice includes divorce, child custody and visitation, alimony and child support, property division, separate maintenance, domestic violence, paternity, legitimation, prenuptial agreements, adoption, post-judgment relief and appeals. Contract practice includes negotiation, preparataion, review, dispute resolution, enforcement and litigation. Tort practice includes personal injury, wrongful death, product liability, premises liability, fraud and workers' compensation. Business practice includes legal entity formation, dissolution and litigation. Estate practice includes wills, trusts, probate and administration of estates, year's support, guardianship and conservatorship, living wills and powers of attorney. Joseph practiced law with his father and brothers until 1999, when he opened his solo practice. 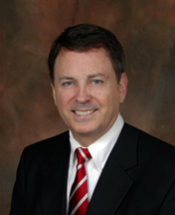 Joseph and his firm served as Gwinnett County attorney in the mid-1980's. The Georgia Supreme Court appointed Joseph to serve as judge or Special Master in State Bar of Georgia attorney disciplinary matters. He served as Special Assistant Attorney General prepresenting the Gwinnett County Department of Family and Children Services in child custody cases from 1983 until 1999. Joseph has been involved in more than 30 reported cases at the appellate level in the Georgia Supreme Court and Georgia Court of Appeals. While attending college Joseph was a leader in student government and several campus organizations. He was elected to Phi Beta Kappa, scholastic honorary, and Omicron Delta Kappa, leadership honorary, and received other leadership and scholastic honors from the University of Georgia. Joseph and his wife, Margaret, have two children and are active in church and civic organizations in Gwinnett County.